Hurme Geometric Sans No.1 includes seven weights with true SmallCaps and matching obliques. Please see the specimen PDF for complete overview of the typeface and its features. Alternate characters and other Opentype features makes the family a versitile tool that can be finetuned accoring to specific needs. Hurme Geometric Sans No.1 and No.2 are essentially the same fonts, but with different set of characters set on as default. All the other characters can be accessed trough Opentype features. 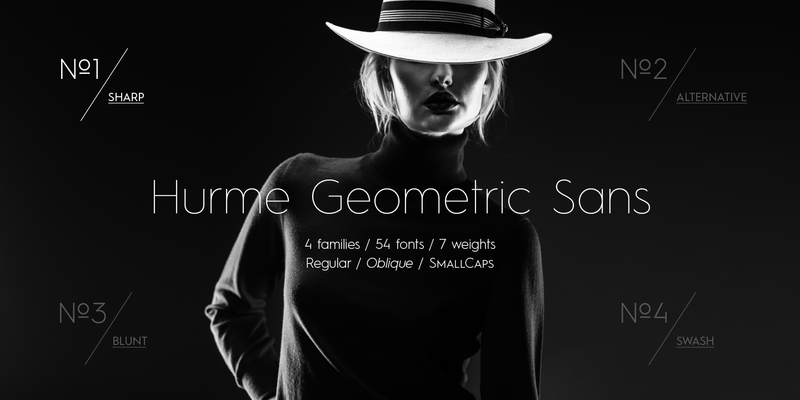 When buying Hurme Geometric Sans No.1, you will receive corresponding weights of Hurme Geometric Sans No.2 free of charge.